Google Maps has a pretty solid set of data for taking transit from here to there, but anyone with a physical disability knows it isn’t quite that simple. Some stations may be wheelchair-unfriendly, have out-of-service elevators, that kind of thing. 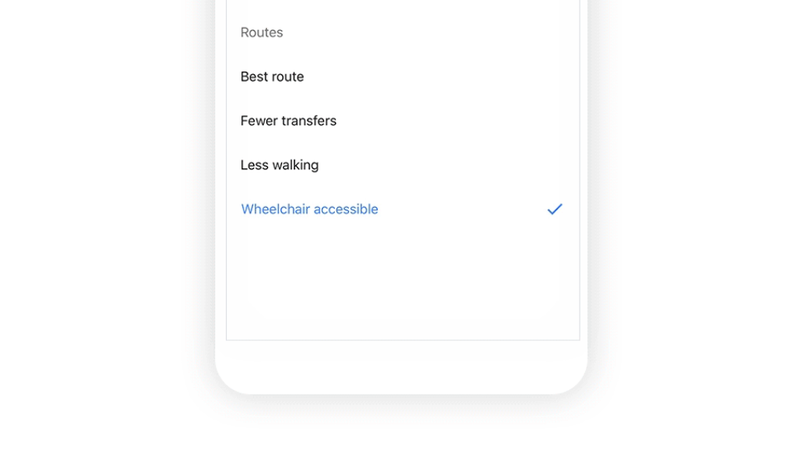 A new update to the service adds an option for you to specify a wheelchair-accessible route — though that’s just a start on what’s really needed. Transit riders in London, New York, Tokyo, Mexico City, Boston and Sydney will now have the option to select “wheelchair accessible” in their route options in the same way they might opt to have fewer transfers or minimal walking. More are on the way. No doubt this will make life easier for disabled folks, people with strollers or even anyone lugging around something heavy. But maps, even Google’s extremely detailed ones, are still extremely short on information critical to anyone with a physical disability. Walking routes that take into account sidewalk condition and grade, curb cuts, pedestrian crossing zones or buttons, wheelchair-accessible entrances to buildings and much more could be better integrated into the world’s most popular mapping platform. We know it can be done because a handful of students did it on their own for a summer project. 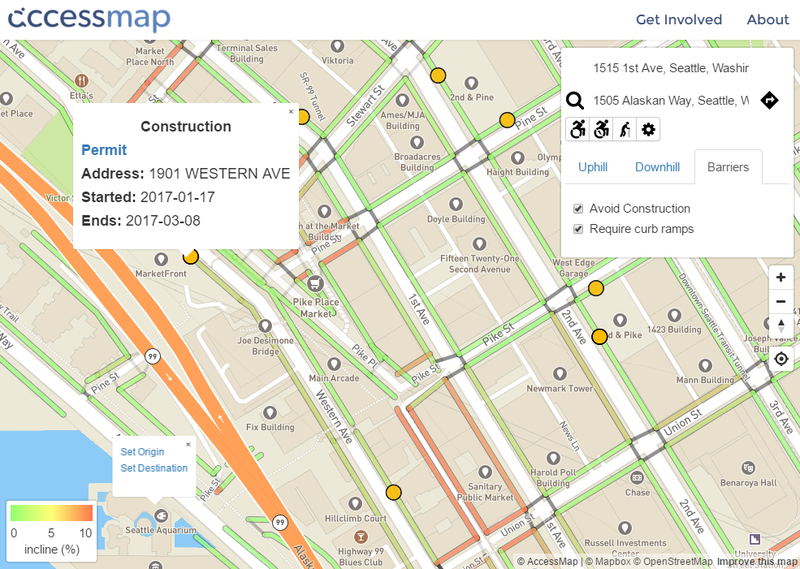 AccessMap uses a combination of manually generated and publicly available data to label sidewalks as safe or risky for people who have trouble getting around. It’s limited to Seattle at present (can’t expect undergrads to map the country) but the concept is more than sound. Here’s hoping Google dedicates a bit more of its considerable resources to improving this aspect of the product. Millions will thank them.